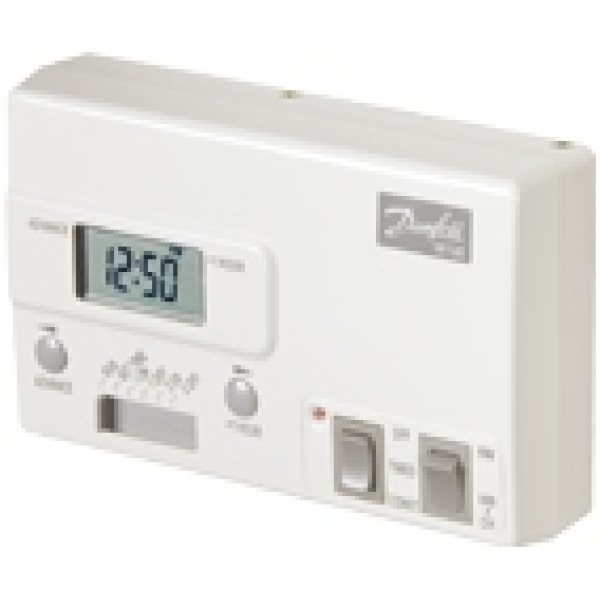 A twin output mini-programmer which can provide Water or Water and Heating options, ideal for systems in which Heating is never required on its own. The SET range of time controls has been designed specifically with simplicity of programming and use in mind and are ideal for applications demanding reliability, without the complication of 7-day programming. The SET2E offers 24-hour control and is designed to fit the British Gas Standard Wallplate used by earlier SET models and some models from the Horstmann range. A large easy to read LCD display shows time and additional information regarding overrides and bright LED status indicators provide the user with information about system operation. Programming is achieved by means of a slider switch and just 2 push buttons, and can be done without the need for instructions. Programmes can be manually overridden by the ADVANCE and +1 HOUR buttons. Two rocker switches allow the selection of either: OFF, TIMED or CONSTANT; and WATER ONLY, or WATER & HEATING.